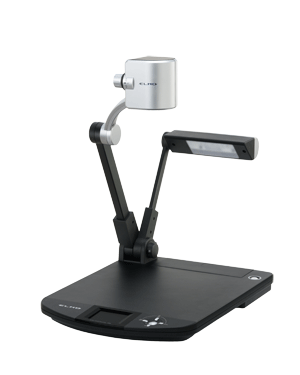 ELMO’s P30S Visual Presenter is the ultimate document camera for effective visual presentations. The P30S Visual Presenter presents a variety of materials clearly and directly with an element of surprise to capture viewer attention. Even in an increasingly virtual world, reality is often the best teacher. Actual specimens, real three-dimensional objects, authentic documents, and pages directly from a book all make visual presentations more diverse, realistic, and vivid. Make the most of your real-world materials with an ELMO P30S Visual Presenter. Please note all refurbished units have a 90 day warranty and are FINAL SALE!